Packs of Rolos or Tubes of Smarties crafted to resemble a good old school pencil! I think they will make really cute gifts for children to give their friends on the last day of term or even on their first day of school! 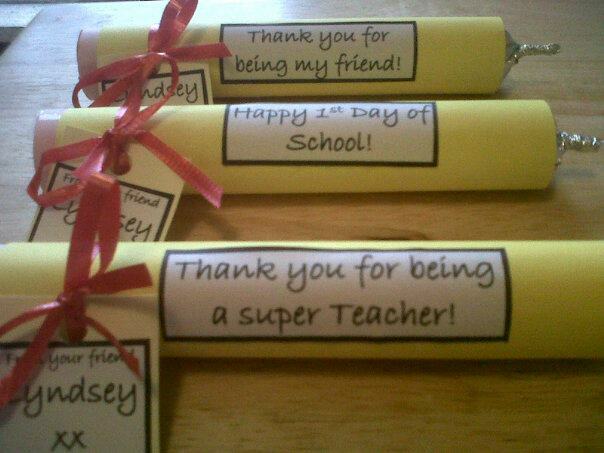 Also a nice cute gift for the teachers and something unique to give them to say thank you. I can change the message to read whatever you would like it to say and personalise the name tag. Next So much more than a Loo Roll!